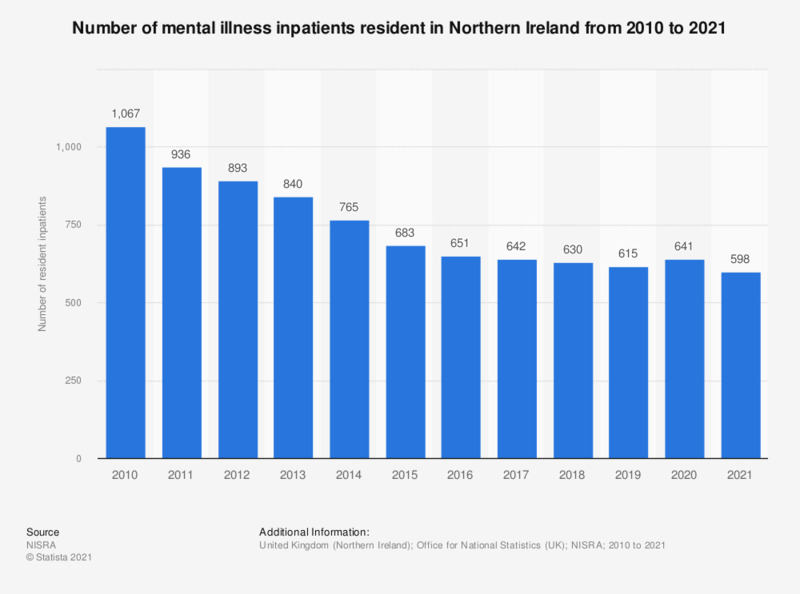 This statistic displays the number of mental illness inpatients resident in Northern Ireland from 2010 to 2018. The number of inpatients resident with a mental illness has decreased since 2010. In 2018 there were 630 inpatients resident with a mental illness. * including patients on Home Leave. Everything On "Mental health in the United Kingdom (UK) " in One Document: Edited and Divided into Handy Chapters. Including Detailed References. Statistics on "Mental health in the United Kingdom (UK) "